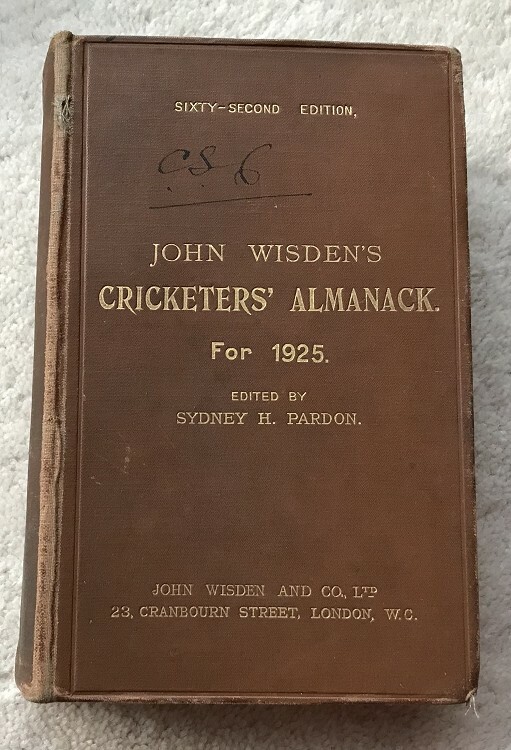 This lot is a 1925 Original Hardback Wisden in Just OK Condition, but a top price. This Wisden has nice boards, name to the front one in ink above John Wisden, the gilts are good, not super bright but not faded, some wear to the baord edges and some weakness to the hinges, that still hold their weight. You can see some mesh on the rear hinge. Nice pastedowns and clean pages inside, some issues but at a great price. Excellent Photoplate. Some darkness to the pageblock.